John Harding Jr has credited boxing for turning his life around as he prepares to take part in his first major arena show on the undercard of Dave Allen vs. Lucas Browne and Derek Chisora vs. Senad Gashi at The O2 in London this Saturday. The Brixton Super-Welterweight (6-0-1, 1 KO) grew up on an estate in South East London and found himself caught up in gang activity at a young age, resulting in lengthy spells in prison. 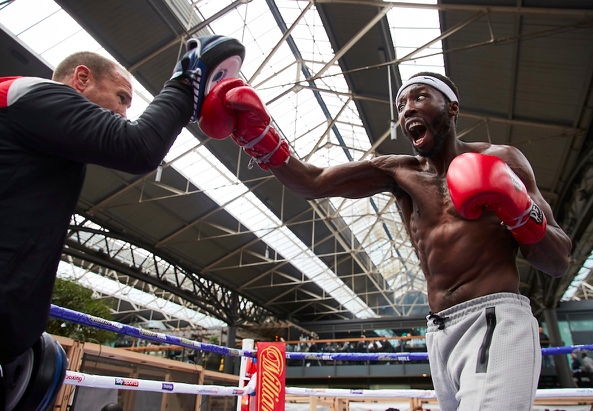 Determined to change his lie for the better, the now 34-year-old decided to put his all into climbing the ladder in the pro ranks after his debut at York Hall in 2017. Heavyweight World title contender Dillian Whyte took Harding Jr under his wing at the beginning of the year and set about securing his new charge a golden opportunity on Matchroom Boxing’s Easter weekend card in Greenwich – Harding Jr says he will always be grateful for ‘The Body Snatcher’s’ guidance and leadership. “Everything is good,” Harding Jr told iFL TV. “I’m just here enjoying being on this stage. It felt weird but now I’m embracing it. I was always the person on the outside looking in, but now I’ve got my chance. I’ve been working closely with Dillian and to be in this position now is just amazing. I want to prove to people that hard work can pay off. I want everyone to look at my life and know that if they work hard they can change their ways as well. Boxing has given me a lifeline. “I grew up on an estate in New Cross. On the estate you grew up in a brotherhood, so you grew up inheriting rival gang activities. We thought that hustling was the only way for us to move forward in life. Other people call it drug-dealing, for us it was just survival. That’s what we grew up around and thought was normal. I ran into the law a couple of times. I’ve spent probably around five and a half years of my life in prison. It’s very hard when you’re in that position as a young person. “I always dreamt I’d be the one being interviewed one day. I used to watch these guys being interviewed on a secret little mobile phone in jail! This shows the power of vision and hard work. When I stepped out with nothing, I only had that vision in my head. I was quite big, 17 stone and muscly. Now look at me, I’m a Light-Middleweight floating like a butterfly! “I just kept coming to the gym, training around guys like Richard Riakporhe. I was always in the shadows of those guys, training hard. Fast-forward a while and I bumped into Dillian Whyte, who’s looked out for me since. He saw my heart and he’s brought me close and that just shows me how much of a true person he is. For him to reach out and help someone like me has changed my life and helped others too. 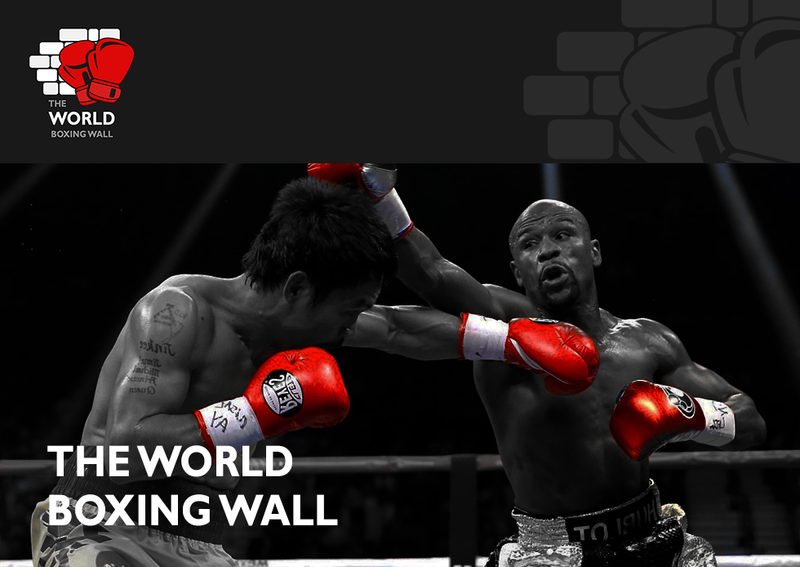 Harding Jr takes part in a huge night of boxing in the Capital. Doncaster fan favourite Dave Allen (16-4-2, 13 KOs) faces the biggest night of his career against Australia’s former WBA Heavyweight World Champion Lucas Browne (28-1, 14 KOs), Derek Chisora (29-9, 21 KOs) clashes with Senad Gashi (17-2, 17 KOs) in his first fight under new trainer Dave Coldwell, Sunderland’s ‘Pretty Boy’ Josh Kelly (8-0, 6 KOs) takes on the toughest opponent of his career to date in the form of unbeaten 17-0 Pole Przemyslaw Runowski and Ilford Welterweight prospect Conor Benn (13-0, 9 KOs) makes his long-awaited return to the ring against Czech Republic’s Josef Zahradnik (10-2, 5KOs), Brooklyn Middleweight prospect Nikita Ababiy (3-0, 3 KOs) makes his UK debut and Watford Bantamweight Shannon Courtenay fights for the second time as a pro after her debut win at the Copper Box Arena.